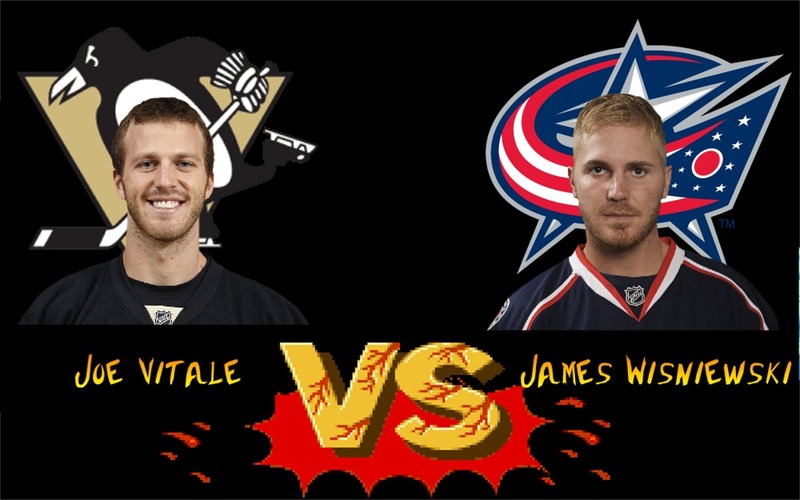 This is a clash of two huge players looking for an NHL roster spot. Both men over 6 feet tall and over 200lbs are expected to play with an egde as this fight transpired from a scrum in front of the net. 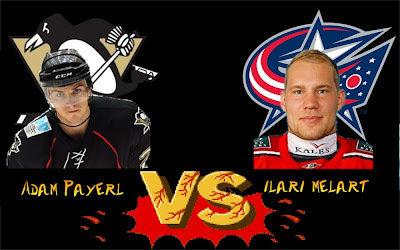 The Penguins were outshooting the Jackets heavily and Melart perhaps wanted to change from momentum. Payerl's technique is similar to Engelland's to where he will tie up the opponent's punching hand with his left and use right hand to tie up the jersey near the forearm. Payerl will come up and over similar to Engelland to punch. Melart looked awkward sending a few punches down on Payerl's head but nothing effective. You can tell that although Melart does play a power game he doesn't really fight. Payerl lands this second punch square in the head and a few body shots. The fight ends unceremoniously with both men taking a 5. This was an explosive fight from two combatants that don't have to prove anything to make the team. This started with a little extra shot after the whistle and turned into a wild fight with fierce haymakers. Vitale has a tendency to grab his opponents collar and punch with his free had. Both men started fiercely exchanging huge shots to the head. The first 6 or 7 punches went back and forth all connecting. Vitale lowers his head and connects with 2-3 punches then gets stunned with two uppercuts leaving him open for 2 fairly big right hands giving the advantage to "Wis". The fight ends with both men knowing that it was an unreal effort and sit for 5.